Luis Ortiz of Cuba on Saturday night stopped Bryant Jennings of Philadelphia at 2:41 of the seventh round at Turning Stone Casino in Verona, N.Y. The bout was televised by HBO. Ortiz decked Jennings (19-2) in the fateful seventh and then stopped him with a subsequent attack. Ortiz (24-0, 21 KOs) retained his interim heavyweight title belt. 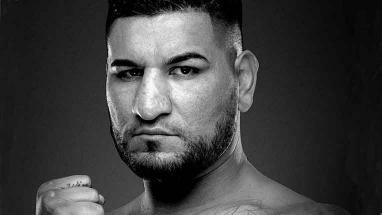 Chris Arreola of Riverside on Saturday got up from a third-round knockdown to win a split-decision over Travis Kauffman in the heavyweight semi-main event from AT&T Center in San Antonio. Two judges – Valerie Dorsett and Ursolo Perez – favored Arreola (37-4-1) by a 114-113 count. The other judge – Wilfredo Esperon – had Kauffman winning 114-113. The bout was underneath the junior welterweight main event between Omar Figueroa and Antonio DeMarco. For the first time since 1900, a heavyweight title fight will take place in Brooklyn, N.Y.
Deontay Wilder will make the third defense of his belt when he tangles with Artur Szpilka on Jan. 16 at Barclays Center (on Showtime). According to a news release, the last time a heavyweight fight was contested in the borough of Brooklyn was when James Jeffries knocked out James Corbett in the 23rd round on May 11, 1900 on Coney Island. Wilder, who is 6-foot-7, is 35-0 with 34 knockouts. Szpilka (20-1, 15 KOs) – a 6-3 southpaw – is from Poland. Szpilka is the No. 8-ranked contender to Wilder’s title.